← eBook or Print for Self-Publishers? 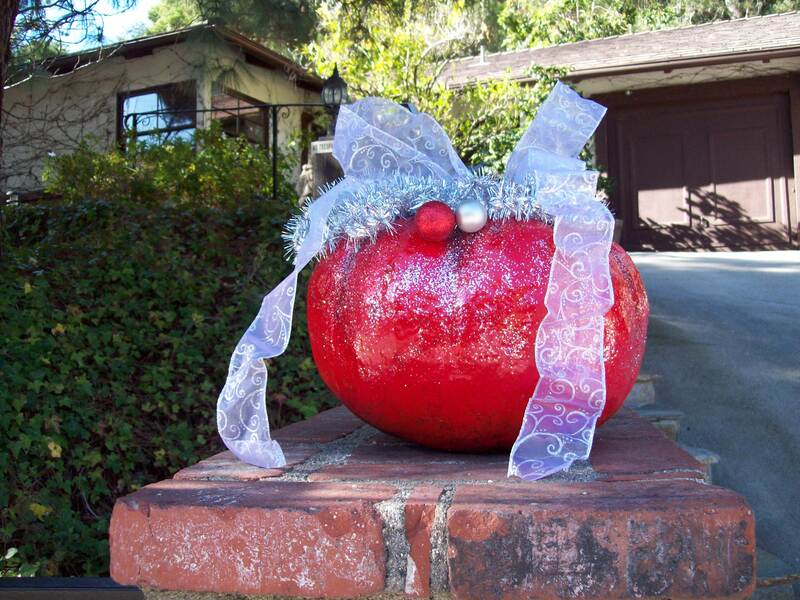 Reduce waste and get more out of your holiday pumpkin by transforming it into a holiday decoration. The one above was transformed by simply using high gloss red spray paint, glitter, ribbon, and other decorations. If you celebrate Chanukah, simply use blue paint instead of red.